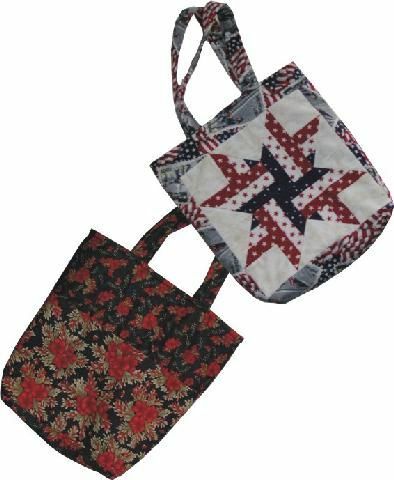 Use left over blocks to make one side of this tote bag. It is fun, fast, and very useful. A second block could be used for the pocket on the other side of the tote. Several inside pockets come in very handy.